North Korea has warned it will make the United States pay a heavy price if a proposal Washington is backing to impose the toughest sanctions ever on Pyongyang is approved by the UN Security Council this week. The US has called for a vote on Monday (local time) on the new sanctions, which would be the toughest to date against Kim Jong-un's regime. North Korea's Foreign Ministry issued a statement saying it is watching America's moves, and is "ready and willing" to respond with measures which "will cause the US the greatest pain and suffering it had ever gone through in its entire history". "The US is trying to use [North Korea's] legitimate self-defensive measures as an excuse to strangle and completely suffocate it," the statement said. "[North Korea] shall make absolutely sure that the US pays due price ... [and] is ready and willing to use any form of ultimate means." Last Tuesday the US circulated a draft resolution proposing the sanctions, including a ban on all oil and natural gas exports to the country and a freeze on all foreign financial assets of the government and Mr Kim. Security Council diplomats, who weren't authorised to speak publicly because talks have been private, said the US and China were still negotiating the text late on Sunday (local time). Previous UN sanctions resolutions have been negotiated between the US and China, and have taken weeks or months — but Donald Trump's administration is demanding a vote in six days. 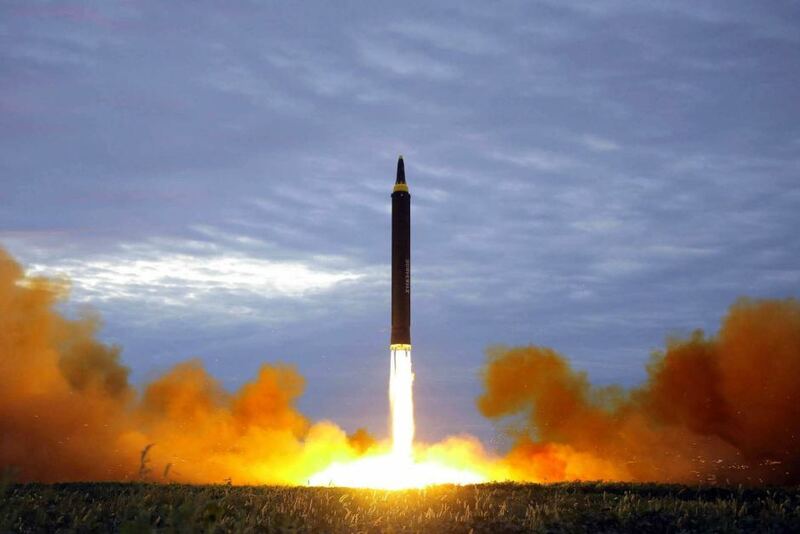 North Korea conducted its sixth nuclear test a week ago and has been launching ballistic missiles at a record pace. Both are violations of UN resolutions, but Pyongyang claims it must carry them out to build nuclear deterrent against what it sees as US aggression. Undaunted by the international criticism of its test, which Pyongyang says was of a hydrogen bomb, Pyongyang celebrated through the weekend, with concerts and banquets for the country's nuclear scientists and engineers. Russian President Vladimir Putin recently expressed doubt over whether sanctions are an effective means of getting North Korea to stop its missile and nuclear testing, and China, harbouring similar concerns, has repeatedly hesitated in the past to fully support US sanction plans. German Chancellor Angela Merkel has also stressed the importance of diplomacy and offered to act as a facilitator if needed. "If our participation in talks is wanted, I will say yes immediately," she said in an interview with the Frankfurter Allgemeine Sonntagszeitung newspaper that was published on Sunday. The five permanent members of the UN Security Council and Germany conducted long-running talks with Iran that led to a 2015 deal for international sanctions to be lifted in exchange for Tehran curbing its nuclear activities. "I could also imagine such a format to settle the North Korea conflict," Ms Merkel said.